Do you need a gift for someone special this Valentine's Day? Maybe something cute and unique. You should check out the S.W.A.K. 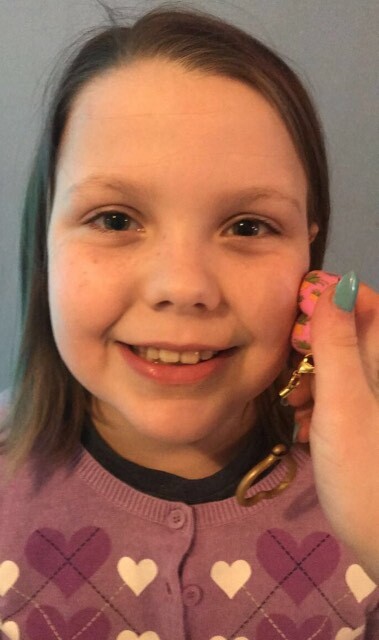 Keychains from WowWee . These are extra adorable, they really kiss! The longer you hold them against your cheek the longer your kiss will last. There are 12 different keychains to choose from. Let me give you a few examples of all the cuteness WowWee has to offer. Unicorn Sparkle kiss is a beautifully rainbow colored set of lips. You and your friends can follow your dreams to the end of the rainbow. Glimmer Kiss is a set of lips keychain that is all about "thinking Pink". It is time for you and your friends to take the world by storm with girl power! They have a Retro Kiss indeed! This keychain is a red and white polka dot colored set of lips. Make things pop with a retro kiss! The keychains are nice and sturdy. No need to worries here that it will fall apart in a couple days. WowWee always puts forth products that are manufactured using high quality materials. All of the S.W.A.K. Keychains from WowWee include a postcard and a sticker. You can even personalize this with a picture at the top and set it on a desk or shelf. These are so cute and they would make great gifts for just about anyone. Whether you set them up with a little photo or hang them from your purse or back pack would be adorable. If you want to gift someone with a S.W.A.K. Keychain from WowWee or maybe you just want this adorable keychain for yourself, you can find all 12 of them at your local Walmart. About WowWee: WowWee introduced the Robosapien robot in 2004. This revolutionized the way we interact with robotic companions. Over time, WowWee's focus on the development of breakthrough consumer technologies. This has led to many more imaginative, award-winning gadgets and toys that are entertaining both kids and adults around the world. How cute! I like how much fun these are. We all need a little fun in life, lol. This is so cool. I like the Stellar Kiss. I like the S.W.A.K. Interactive Kissable Key Chains.